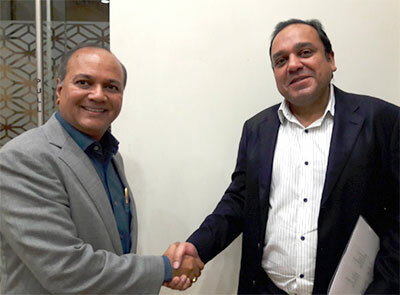 Punit Goenka, Managing Director & CEO, Zee Entertainment Enterprises Ltd (ZEEL), is the new President of the the India Chapter of the International Advertising Association (IAA). The election happened at the IAA India chapterâ€™s AGM on September 24 in Mumbai. The members of the Managing Committee elected include Megha Tata, COO, BTVI, Janak Sarda Director, Deshd hoot Group, M V Shreyams Kumar, Joint MD, Mathrubhumi Group, I Venkat, Director, Eenadu andÂ Abhishek Karnani, Director, Free Press Journal. The list of members co-opted and invited to the Managing Committee will be announced soon. Recently, Goenka has relinquished office as President of the IBF. During his tenure as MD & CEO, Zee has won several awards including the Dun & Bradstreet Corporate Award 2015, IMC Fusion Award 2013 for Excellence in Media, Business world Infocom ICT Award 2012 and many more. Goenka was conferred the â€˜Outstanding Contribution to Mediaâ€™ award at the Managing India Awards hosted by AIMA in 2018. He has also received Business Today â€˜Best CEO Awardâ€™ in the Media and Entertainment category for 2016, MIPTVâ€™s MÃ©dailled’ Honneur Award 2016, Economic Times â€˜40 Under Fortyâ€™ Indiaâ€™s Hottest Business Leaders Award 2014,Â the â€˜Young CEO Awardâ€™ by CEO India magazine in 2015 and the IAA Leadership Award 2014 under the category of â€˜Media Person of the Year Awardâ€™. Goenka has also been recognised as the â€˜Entrepreneur of the Yearâ€™ during the Asia Pacific Entrepreneurship Awards 2014. Goenka was felicitated as the â€˜Impact Person of the Yearâ€™ in 2014. Other than his leadership of the Zee group and various industry associations, its his gamechanging stint as Chairman of television measurement body BARC that has been hailed widely. In fact along with Shashi Sinha and Partho Dasgupta, Goenka received the MxMIndia Media person of the Year award in December 2015. Added outgoing President Ramesh Narayan: “I am delighted that Punit Goenka is taking over as President IAA. His well-known leadership skills and the respect he commands in our industry will undoubtedly take the IAA India Chapter to greater heights. Shashi Sinha is a doyen of the advertising industry and a known performer in industry Associations. The combination is unbeatable.â€ Narayan completed a one-year tenure as President where he also reactivated the IAA India chapter after a one-year period of relative inactivity.